NEW YORK, Feb. 7, 2012 /PRNewswire/ -- Grammy Award Winning band Train is set to release California 37 on April 17, 2012. The new record is the follow-up to the band's multi-platinum 2009 release Save Me, San Francisco which featured the biggest song of 2010, "Hey Soul Sister." Train recorded the new album in San Francisco and Los Angeles with Butch Walker and Espionage producing the record. The first single from California 37, "Drive By," has been rocketing up the sales and radio charts, with over 67,000 singles sold in only the first three weeks. The song has been most added at multiple formats for several weeks in a row and is already charting at Top 40, Hot AC and AAA radio. Internationally "Drive By" has been embraced in the UK, Canada, Japan, France, Australia, Denmark, Germany, Hungary, Netherlands, Switzerland and other countries. Train will also unveil the third varietal from their Save Me, San Francisco Wine Company, a Cabernet Sauvignon called 'California 37' this spring. This will follow the previous varietals, 'Drops of Jupiter Petite Syrah' and 'Calling All Angels Chardonnay.' A portion of the proceeds goes to the San Francisco charity Family House, which provides temporary housing to families of seriously ill children. For more information please visit familyhouseinc.org. The multiplatinum band TRAIN made its mark on music history with their GRAMMY-Award-winning song "Drops of Jupiter (Tell Me)" and chart-topping singles "Meet Virginia" and "Calling All Angels." Train earned their third GRAMMY in 2011 for the worldwide smash "Hey Soul Sister" from SAVE ME, SAN FRANCISCO. "Hey Soul Sister" was the biggest selling single of 2010 and hit #1 at radio in the US and in 15 countries abroad. SAVE ME, SAN FRANCISCO has sold over one million albums worldwide and over eight million tracks. In addition to taking the sales and radio worlds by storm, Train has been all over television. They have performed on the NFC Championship Game, American Music Awards, the Grammy Nomination Concert, Crossroads, The Today Show, The Tonight Show with Jay Leno, Monday Night Football, A&E Private Sessions, America's Got Talent, The View, Dancing With The Stars, and Live With Regis and Kelly, Ellen DeGeneres Show, The Bachelor, Rachael Ray and more. Last year, David Lynch unveiled the compilation 'Music That Changes the World' as a digital download, with all the proceeds going to the David Lynch Foundation charity. 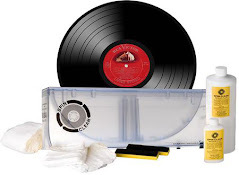 It was recently announced that the digital collection will be released as a limited-edition vinyl box set for Record Store Day on April 21 on Altavoz Distribution. The star-studded four-LP set includes contributors Tom Waits, Iggy Pop, Arrested Development, Moby, Peter Gabriel, Maroon 5, Donovan, and Ben Folds. Much of the music is rare or exclusive to the collection. Donovan said in a press release, "As head of the Musical Wing of the David Lynch Foundation, I wish to thank all the amazing artists who have contributed. From the beginning, when the Beatles and I were writing songs to promote Maharishi's meditation, it was always my dream to bring all the musical fraternity onto one great label to promote true peace. This day has arrived and now the world can know as we knew then, that change begins within." 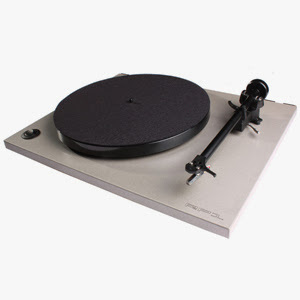 In addition to the vinyl set, buyers will also get a digital version of the documentary Meditation, Creativity, Peace. This centres on Lynch's lecture tour during 2007 and 2008. Only 2,500 copies of the box set will be made. It comes with a 42-page colour book with an introduction from Lynch himself. SEATTLE, Feb. 7, 2012 /PRNewswire/ -- Malfunkshun, a Seattle band often cited as one of the "founding fathers" of the grunge music scene that exploded in the 90's, has released their newest single "Rains of May" off their original collection of songs titled, "Malfunkshun: Millennium." Malfunkshun, collaborating with a variety of past, present and guest vocalists, will be releasing a compilation of songs which is their first collection since the album "RETURN TO OLYMPUS," released in 1995. Malfunkshun, rich in history, is led by original founder and legendary guitarist Kevin Wood who formed the band in 1980 with his late brother Andrew Wood. Quite notably Andrew Wood also fronted the band Mother Love Bone (other members of MLB went on to form the band Pearl Jam). The collection includes unfinished work from the Wood brothers, including unpublished lyrics of Andrew Wood and music of Kevin Wood. In its latest incarnation Malfunkshun also includes Jeff Loftis on vocals, Louis McIntosh on bass and Mike Stone on drums. "Rains of May" is Malfunkshun's first new release with Loftis on vocals, although the band has been creating, recording and performing for the past decade. "Rains of May" is the first of several singles slated for release off "Malfunkshun: Millennium," and discussions of a collector's piece on vinyl are in the works. "I am really excited to release 'Malfunkshun: Millennium,' it's some of our best work," says Wood, who co-wrote "Rains of May" with Loftis. "'Rains of May' is a heavy groove; a wall of guitars' track with a sense of rock and roll angst. 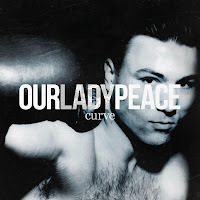 It's reminiscent of Seattle in the 90's, with a 21st century take on where the band is today," according to Loftis. Wood says, "The new single is primal, tribal, epic and right in your face. It's a rock song 'I' want to hear." Wood shreds on guitar and won't let fans down. "We think 'Malfunkshun: Millennium' will appeal to the existing fan base while drawing in a new audience," says manager, Jaye English, of Spoondog Entertainment Group. The original lineup of KILLING JOKE will release its new album, "2012", on April 2 via Spinefarm Records. The effort will be released in CD hardcopy and digital formats. It will also be made available on double colored gatefold vinyl. "I can't see the point contemplating extreme life extinction — it's good for nothing. It's nihilism in the absolute even considering it," states KILLING JOKE mainman Jaz Coleman. “This is the record we’ve been trying to make for the past 10 years. There’s something to be said about being beaten up and being able to dust yourself off and get back in the ring,” says vocalist/lyricist and founding member Raine Maida. In 1957, Iraq bans the films Rock Around The Clock and Bus Stop, saying they are "dangerous to teenagers and youths." In 1959, more than a thousand people attended Buddy Holly's funeral at the Tabernacle Baptist Church in Lubbock, Texas. His widow, Maria Elena Holly, did not attend. Buddy's pallbearers were Joe Mauldin, Jerry Allison, Niki Sullivan, Bob Montgomery, Sonny Curtis and Phil Everly. On the same day, Ritchie Valens was laid to rest in San Fernando Mission Cemetery in California. In 1963, the Vee-Jay label released the first Beatles single in the U.S., "Please Please Me" b/w "Ask Me Why." The first pressings became valuable collectors' items because their name on the label was misspelled "Beattles." A disc jockey at WLS in Chicago at the time and a friend of Vee-Jay executive Ewart Abner, played the song on the radio perhaps as early as February 8, 1963, thereby becoming the first disc jockey in the United States to play a Beatles record on the radio. "Please Please Me" peaked at #35 after four weeks on the WLS music survey, but did not show up on any of the major national American record charts. The label re-issued the single in January 1964 to a much better result: it peaked at #3 on the Billboard Hot 100, trailing only the group's "I Want to Hold Your Hand" and "She Loves You." In 1964, just after 1:00 p.m. EST, Pan Am Yankee Clipper flight 101 landed at New York City's JFK Airport. 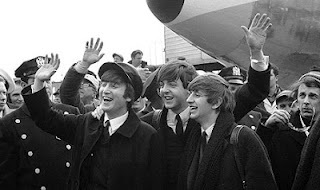 An estimated 5,000 screaming fans were waiting to greet the Beatles as they arrived for their first U.S. tour and an appearance on CBS-TV's "The Ed Sullivan Show." The Beatles were taken to the Plaza Hotel after a press conference at the airport. A sample of the Q&A: "What do you think of the campaign in Detroit to stamp out the Beatles?" Paul: "We've got a campaign of our own to stamp out Detroit." In 1966, Crawdaddy!, the first magazine dedicated specifically to rock 'n' roll music, was published by Paul Williams in New York City. In 1969, George Harrison's tonsils were removed at London's University College Hospital and then destroyed so they could not be sold. Harrison remained in the hospital until February 15. In 1969, in Los Angeles, Jim Morrison of the Doors was arrested for drunk driving and driving without a license. 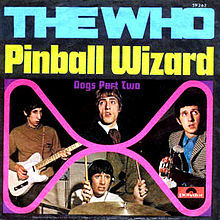 Also in 1969, at Morgan Studios in London, the Who recorded "Pinball Wizard." The original recording was released as a single in 1969 and reached No. 4 in the UK charts and No. 19 on the US Billboard Hot 100. The lyrics are written from the perspective of a pinball champion, called "Local Lad" in the Tommy libretto book, astounded by the skills of the opera's eponymous main character, Tommy Walker: "That deaf, dumb and blind kid sure plays a mean pinball", and "I thought I was the Bally table king, but I just handed my pinball crown to him". Also in 1969, John Lennon and Yoko Ono were pictured on the cover of Rolling Stone and John was named the magazine's Man Of The Year. In 1970, Led Zeppelin scored their first UK #1 album with Led Zeppelin II. Featuring the U.S. hit single “Whole Lotta Love,” it went on to stay on the chart for 138 weeks, selling over 6 million copies in the US. Also in 1970, one hit wonders Shocking Blue went to #1 on the US singles chart with “Venus,” making them the first Dutch act to top the US charts. It hit #8 in the U.K. Bananarama took the song to #8 on the UK chart in 1986. In 1974, soul artist Barry White was awarded four Gold records for the singles "Never, Never Gonna Give Ya Up" (#7), "Love's Theme" (#1 by the Love Unlimited Orchestra, conducted by White), and the albums "Under the Influence of Love Unlimited" (#3) and "Sonte Gon'" (#20). In 1976, Bob Dylan started a five-week run at #1 on the US album chart with 'Desire,' his second US #1. In 1976, Paul Simon had his only solo number 1 hit in the US when "50 Ways to Leave Your Lover" made it to the top for the first of 3 weeks. In 1979, at the Record Plant Studio in Los Angeles, Stephen Stills recorded the first major-label album using all-digital equipment, however it was never released. In 1979, the Clash kick off their first American tour at the Berkeley Community Theatre outside San Francisco. In 1980, Pink Floyd began The Wall Tour in the US when they gave their first live performance of the new double album in Los Angeles. A 30 foot high wall made of Styrofoam blocks was constructed across the 160 foot stage in the first half of the show, and then following the intermission, it was thoroughly destroyed. One of its more notable elements was the band's performance of "Comfortably Numb". While Waters sang his opening verse in front of the wall, Gilmour waited in darkness at the top of the wall, for his cue. When it came, bright blue and white lights would suddenly illuminate him, astonishing the audience. Gilmour stood on a flight case on castors, held steady by a technician, both precariously balanced atop a tall hydraulic platform. At the end of the concert, the wall was made to collapse, once again revealing the band. Along with the songs in the album, the tour featured an instrumental medley, "The Last Few Bricks", which was played before "Goodbye Cruel World" to allow the construction crew to complete the scenographic wall. Also in 1981, a Jersey City sextet called Kool And The Gang, which featured Robert "Kool" Bell on lead vocals, had the top tune in America with "Celebration". In 1985, Frank Sinatra's "New York, New York" became New York City's official anthem. In 1986, the Rolling Stones shot the video for "Harlem Shuffle" in New York City. In 1987, Crosby, Stills & Nash failed to show up for a Greenpeace benefit in Vancouver, British Columbia after the RCMP refused to allow David Crosby admission to Canada because of his criminal record. In 1990, composer Jimmy Van Heusen died from complications following a stroke at 77. In 1994, Shannon Hoon of the Blind Melon's was ejected from the American Music Awards for loud and disruptive behavior. He was eventually charged with battery, assault, resisting arrest and destroying a police station phone. In 1999, jazz pianist/arranger/composer /producer/singer/TV game show panelist /actor Bobby Troup died after a heart attack at age 80. In 2000, singer "Lonesome" Dave Peverett, of Savoy Brown and Foghat, died from double pneumonia while battling cancer at the age of 56. In 2008, Caesars Palace in Las Vegas announced that Cher had been signed to perform approximately 200 shows over the next three years. The 61-year-old singer agreed to perform 90-minute concerts, four nights a week on Tuesday, Wednesday, Saturday and Sunday. Tickets for the shows ranged between $95 and $250. In 2010, at Sun Life Stadium in Miami Gardens, Florida, Chris Daughtry, Steve Winwood and Queen Latifah performed during the pre-game tailgate party, Carrie Underwood sang the U.S. national anthem, Queen Latifah sang "America the Beautiful," and the Who performed the halftime show at Super Bowl XLIV. The New Orleans Saints defeated the Indianapolis Colts, 31-17. In 2011, Janet Jackson told NBC's Today show that although she has been holding back her grief for more than a year, she has finally started to accept her brother Michael's death. "There's still not a day that goes by where I don't think about him. Not one day, not one day." Tony Bennett - Isn’t It Romantic?